Fire up the grill for some mouthwatering grilled chicken. Follow these tips to sizzle your way to tender, flavoursome chicken. For the marinade, heat 1 tablespoon of olive oil in a pan, add one Knorr® Homestyle Stock Chicken Bouillon or one Knorr® Chicken Bouillon Cube and stir until melted. Remove from heat, add 3 tablespoons of soy sauce, some sugar and spices. Rub the marinade into the chicken and leave for 3-5 hours, in the fridge. 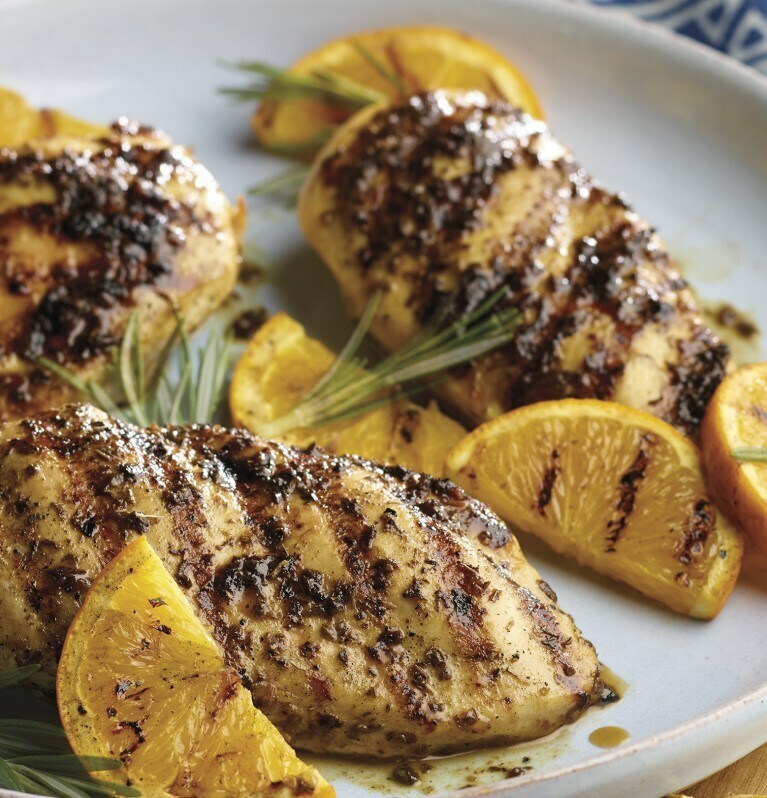 For great grilled chicken breasts, try rubbing a Knorr® Chicken Bouillon Cube mixed with a little olive oil into the skin of the chicken before grilling. Take your time to rub all of the cube into the skin. CCook until the chicken has reached a minimal internal temperature of 165°F/74°C, by testing it with a thermometer at the thickest part of the chicken. CFIA recommend checking the internal temperature in the innermost part of the thigh and wing and the thickest part of the breast.